Bergamont E Contrail 8.0 + derailleur hanger 6061 T651, made with CNC technology. Black anodized. Lighter and more durable than the hanger series. 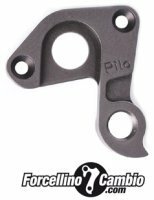 Bergamont Horizon 5.2 2012 derailleur hanger 6061 T651, made with CNC technology. Black anodized. Lighter and more durable than the hanger series. Bergamont Revox 29" 2013 derailleur hanger 6061 T651, made with CNC technology. Black anodized. Lighter and more durable than the hanger series. Bergamont Seeker 2003 - 2006 derailleur hanger 6061 T651, made with CNC technology. Black anodized. Lighter and more durable than the hanger series. 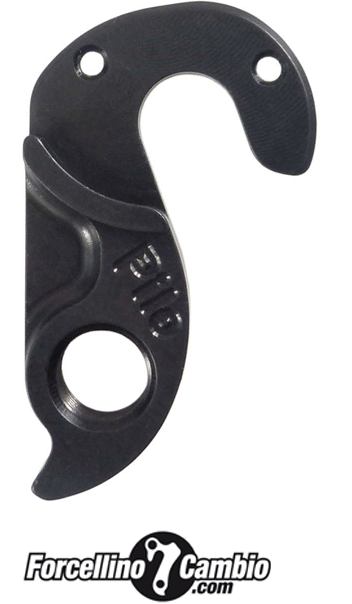 Bergamont Straitline DH derailleur hanger 6061 T651, made with CNC technology. Black anodized. Lighter and more durable than the hanger series.